The treatment involves an herbal steam along with a face and neck massage and acupressure—the massage techniques are said to aid in toxin release and lymphatic drainage. Allison says the treatment has been so popular that she has die-hard fans coming in every other week to ward off winter illness. 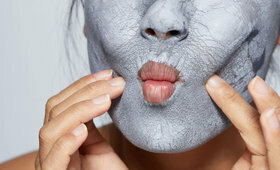 Though the real-deal, 40-minute cold-busting facial is only available through the end of February at Tres Belle, Tray inspired us to learn some DIY ways to ward off stuffy winter symptoms before they go full-blown. 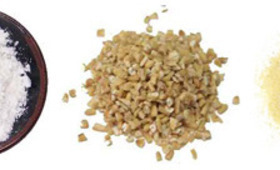 An herbal steam will un-stuff a nose and soothe a dry scratchy throat, not to mention get your skin clean and glowing. First, remove all makeup. Fill a large heat safe bowl with about one quart of boiling water. 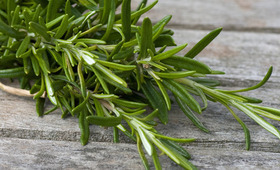 Add 1–3 tablespoons of any of the following herbs (feel free to combine): rosemary, eucalyptus, sage, peppermint. Placing the bowl on a table, sit with your face over the mixture, so the steam directs toward your face. Drape a bath towel over your head to create a chamber that holds the steam in. Breathe deeply. Continue for 10 minutes or until steam begins to die down. 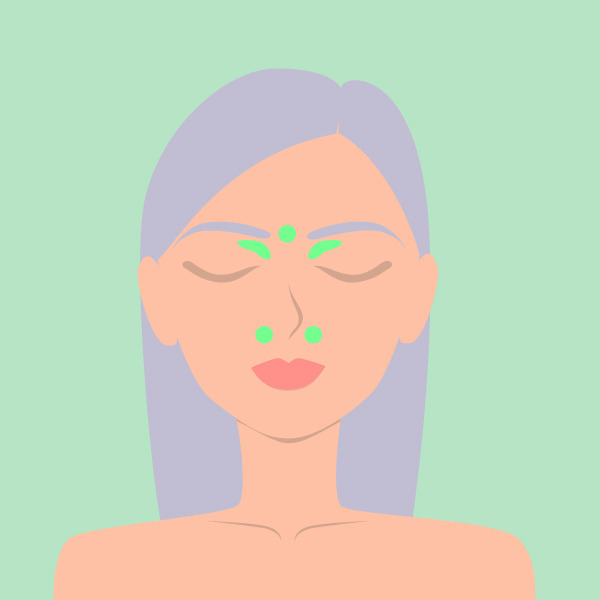 The green arrows show where, and in which direction, to massage to help clear head stuffiness. 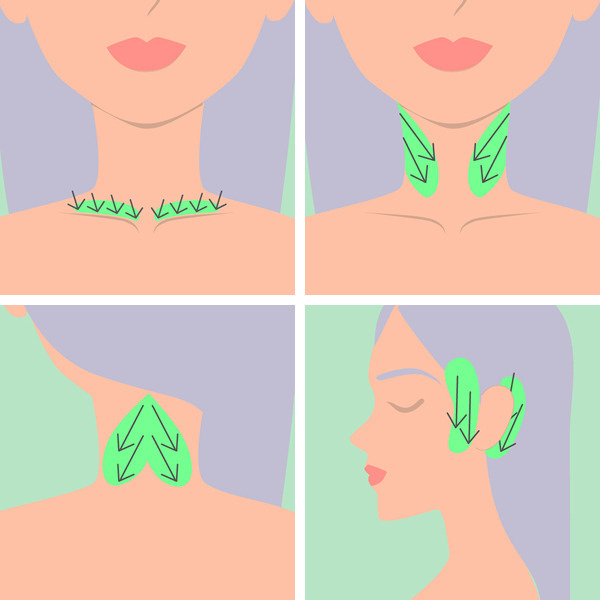 Massaging your lymph nodes in a downward pattern can drain the lymphatic fluid that collects in the face and neck area when you’re sick, causing that stuffy head feeling we all know and hate. Next time a cold leaves your face throbbing, try delicately rubbing the area in an up and down motion with your fingertips. Key points are the notches of the collarbone, under the jawbone, the back of the neck, and around the ears. Massaging each point for about 50 counts should help clear your head and bring you some much-needed relief. Lightly apply pressure to the green areas to help clear fluids and ease headaches, sinus pain, and congestion. Applying pressure to the area where the bridge of the nose meets the forehead is said to relieve a stuffy nose and head congestion. Using a middle finger, press firmly into the area directly between your brows and hold steady for two minutes. Release the pressure slowly to allow the tissues to respond. Other acupressure areas that may help ease up cold symptoms are the indentations of the eye sockets or those along each side of the nose. When all else fails: We asked Tray for her favorite quickie ways to ward off a cold and her answer was simple: “sip hot water with lemon and eat tons of greens.” And don’t forget to load up on plenty of matcha green tea (you get a complimentary cup with honey after your treatment at Tres Belle). 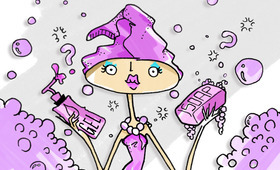 Soap or Shower Gel: What’s The Difference?